Pretty much every morning (except weekends, unless I’m working), I wake up at 7 a.m., although I really should be waking up at five or six. I check my email in bed. I don’t get my inbox down to zero; it hovers above 14,000 unread, instead. Oops. I go to make myself a Cinnabon toast with cream cheese and trip over one of my cats. I eat my burnt toast while groggily picking out a dress for work that doesn’t smell weird, but spritz it with Febreeze just in case. I’m out the door by 9:45 a.m., go to the gym after work, and after reading a book or watching House of Cards, I’m asleep sometime after midnight with an empty carton of Three Twins on my bedside table that the cats are surely lapping up. Look. No magazine on earth would profile my morning. It’s messy. It’s the opposite of aspirational and glamorous. The morning profiles we love to read include otherworldly habits like waking up before it’s light outside, some kind of barely-caffeinated beverage, exercise, and restorative “me” time. Everyone from celebrities to CEOs have figured this whole morning thing out, and it does NOT include burnt carbs. Morning routines are often conflated with success, and they’re constantly profiled. Like this article: “The morning routines of insanely success people (past and present)” published on Marie Claire UK. “The Mornings Routines Of The Most Successful People,” posted on Fast Company. Or Business Insider’s “12 highly influential people share the morning routines that set them up for success.” Or really, any women’s magazine. Open one. Flip to page 97 and you will probably encounter a morning profile. Some examples of these mornings include Jennifer Aniston, who, Marie Claire UK writes, “[wakes] up at 4.30 a.m. on a work day,” and “[drinks] hot water with lemon, [washes] her face with soap and water and [meditates] for 20 minutes.” Or Anna Wintour, who, according to Fast Company, wakes up at 5:45 a.m. every day and plays a game of tennis. According to the experts, people who wake up early in the morning set themselves up for a more productive day. According to holistic coach Jody Grimm, mornings seem to set the tone for your schedule. She gives HelloGiggles the example of waking up and immediately checking your email and social media (guilty!). Grimm says it puts us in a “response mode,” which means we “continuously respond to external stimulation, whatever it may be” — i.e. oh, wish I hadn’t seen that work email now, but since I did, I should probably respond. That kind of mindset persists throughout the day. However, Grimm says, if you decide to start your morning with meditation, or some other calming activity that involves you and your brain and no one or nothing else, you start your day “from a more centered place.” Grimm tells us, “Rather than waking up and responding to the rest of the world, we are tuning into what’s going on for ourselves, and the choosing when and how to engage with [everyone else].” Verdict: Having a planned out, centered morning routine makes us more productive, effective, and more impervious to distractions. Moreover, a productive morning often gives people the time to do the activities they truly enjoy and love, says psychologist Barbara Greenberg, and that often leads to a more positive outlook on the day. Are night owls not as poised for success or good health? Souza-Thomas, who refers to a 2015 study, found that “people with Type 2 Diabetes who could be described as ‘night owls’ and preferred the evening for activity reported experiencing more symptoms of depression than those who were early to bed and early to rise, regardless of the quality of their sleep.” In the same study, the researchers state that with or without Type 2 Diabetes, if you go to bed late and wake up late, you’re more likely to be depressed. “This research supports a modest association between circadian regulation and psychological functioning in patients with Type 2 Diabetes,” Souza-Thomas tells HelloGiggles. While the above study is pretty narrow, findings find that morning people tend to make healthier meal choices. A 2017 study found that your biological clock rhythm may affect what you eat and when. Night owls tend to eat less protein and more sucrose when they wake up, and more sucrose, fat, and saturated fatty acids for dinner. After randomly selecting 2,000 people and studying their sleeping habits, they learned the above, as well as the correlation between going to bed late and being less likely to hit the gym. Maybe you’re unable to wake up at the crack of dawn. Maybe your job requires you to work until midnight or later, and you don’t have the luxury to prioritize self-care over your responsibilities. Maybe you’re a single mom and your sleep schedule is scattered at best. Maybe you do wake up at 5 a.m., but you immediately have to start logging your hours for work. The truth is that, to a certain degree, privilege comes with having a customizable morning routine. If you have a 9-to-5 job, a nanny or partner who helps take care of your children and pay rent and living expenses, it’s much, much easier to decide how exactly you want to spend your mornings. For many, it’s not a choice. When you go to bed and when you wake up comprise an industry. The more financially successful you are, the healthier you are. Which is probably why many success stories come with a practiced early morning routine. As for me, I’ll keep waking up when I wake up, and stay in bed until I absolutely need to get out of it. 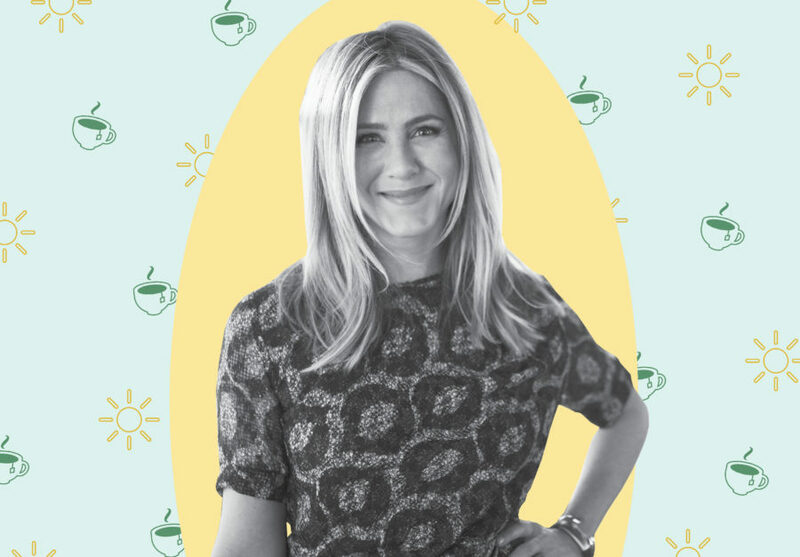 There’s nothing wrong with aspiring to a Jennifer Aniston-worthy morning routine — in fact, the experts say that it potentially could set you up for success. But if your routine is clunky, if it’s imperfect, if you don’t end up going to spin class before work and breakfast consists of a Pop-Tart, that’s okay. Maybe a good playlist or podcast is what motivates you on your way to work. Maybe a night workout makes you feel like a badass and fits with your schedule. Find a routine that makes you feel unconquerable, and go with it.